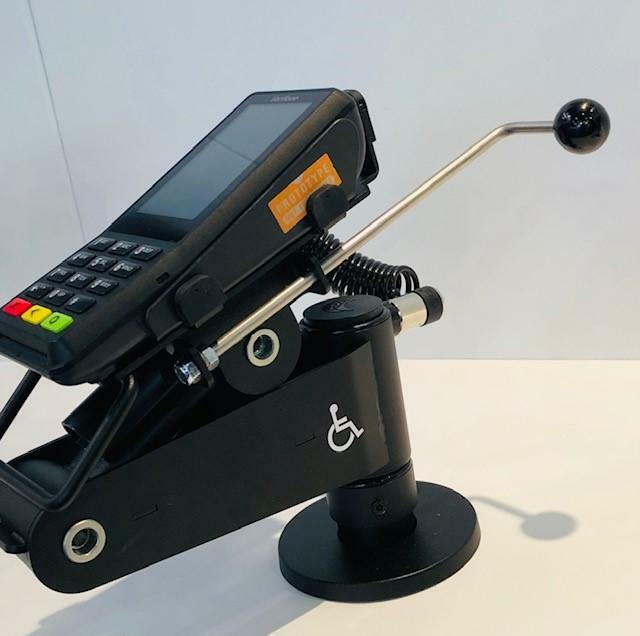 Ergonomic Solutions is an established, leading global supplier of innovative and ergonomically designed technology mounting solutions including POS stands, mounts and enclosures for point of sale technology and tablets. They are developed in partnership with global retailers and technology suppliers coupled with the most advanced ergonomics. 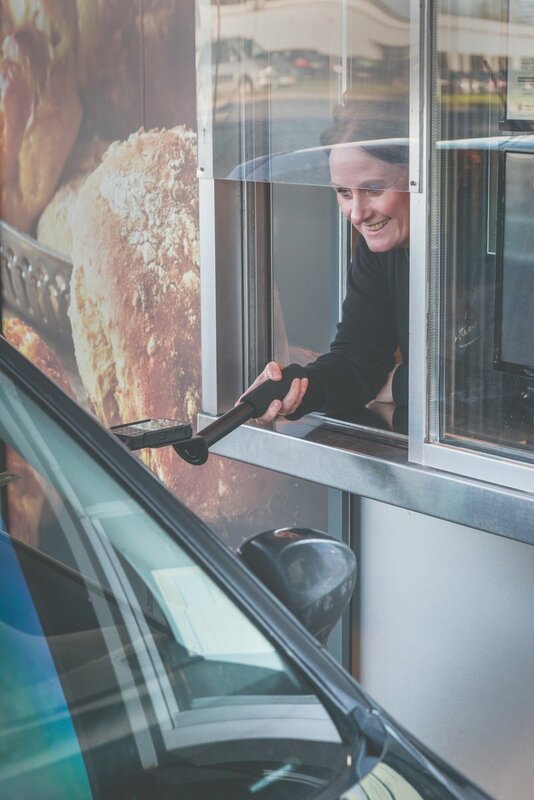 Our application areas extend across Point of Sale, Point of Payment and Point of Service. 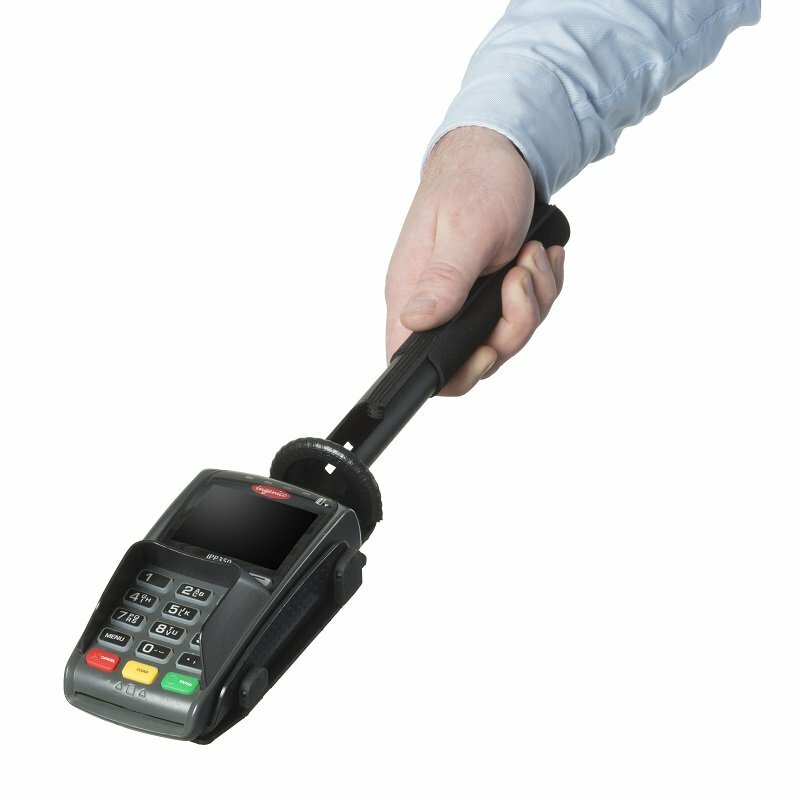 At present there are over 7 million unique installations of point of sale stands and other ergonomic solutions worldwide and in the retail sector we supply over 60% of the world top 250 retailers. 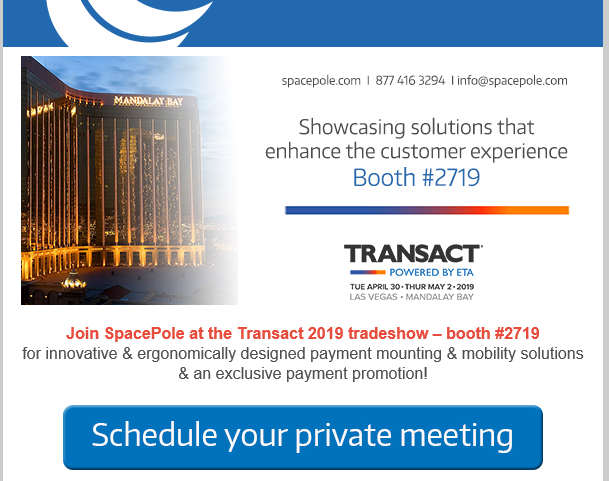 SpacePole is the technology mounting solution of choice and SpacePole, Inc. the preferred partner to the leading technology hardware providers. 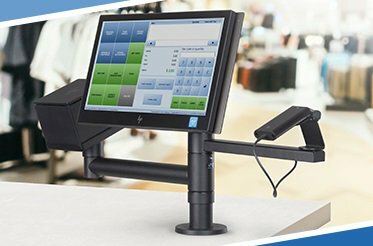 We are the global experts of pos stands, pos mounts, card reader stands and other solutions including tablet stand & tablet holder products and tablet enclosures. At present there are over 7 million unique installations worldwide and in the retail sector we supply over 60% of the world top 250 retailers. 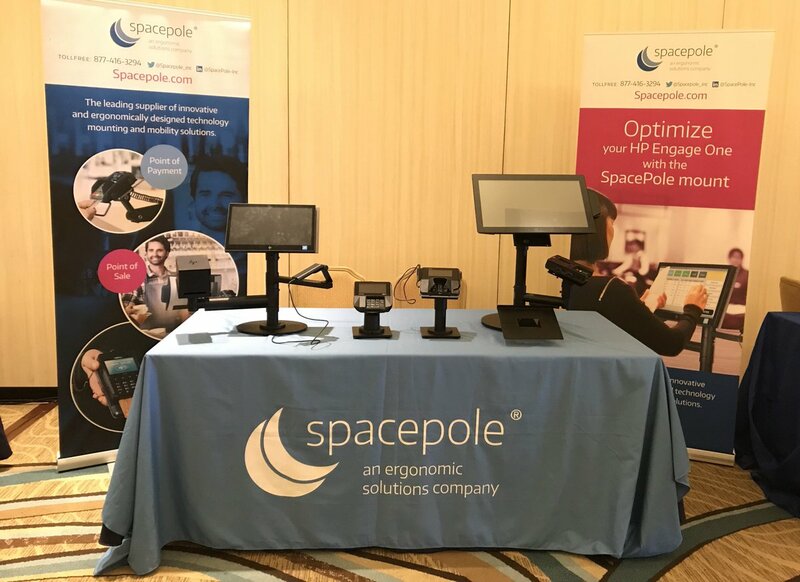 SpacePole is the technology mounting solution of choice for POS equipment and Ergonomic Solutions the preferred partner to the leading technology hardware providers. 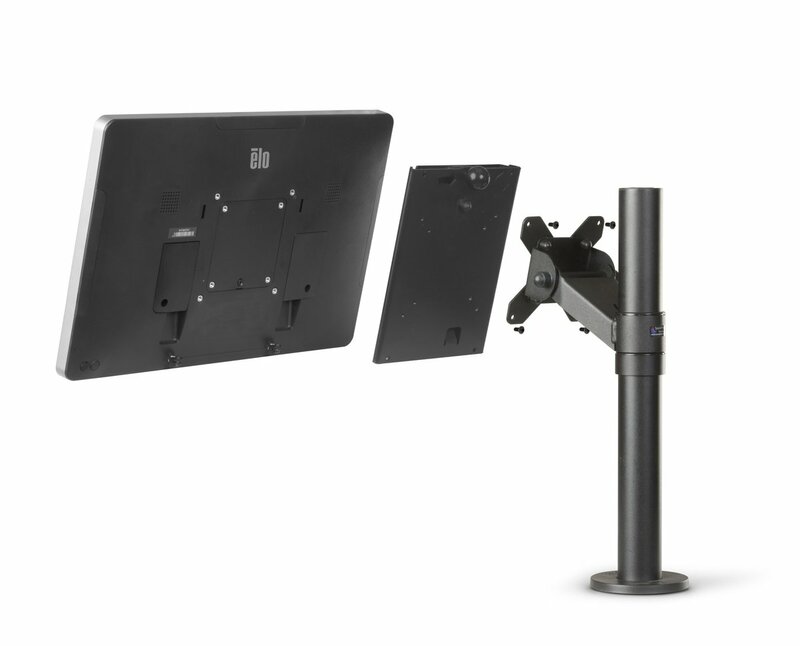 Ergonomic Solutions has a dedicated eco-system of distribution partners and resellers that supply technology mounting solutions and pos stands as part of their overall customer offering. From Europe, Middle East & Africa to the USA and on to Australia, we offer the support and infrastructure that you would expect from a global manufacturer of POS mount solutions. 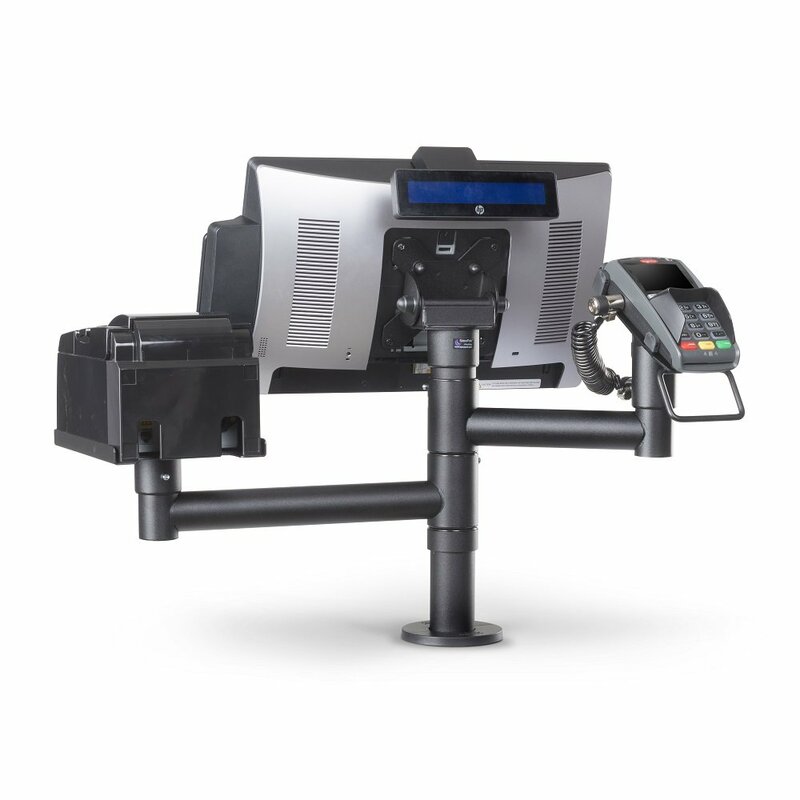 POS mount solutions for fixed and mobile retail systems, tablet kiosk enclosures & stands, POS display stands and a variety of other Point of Sale stand solutions and applications. 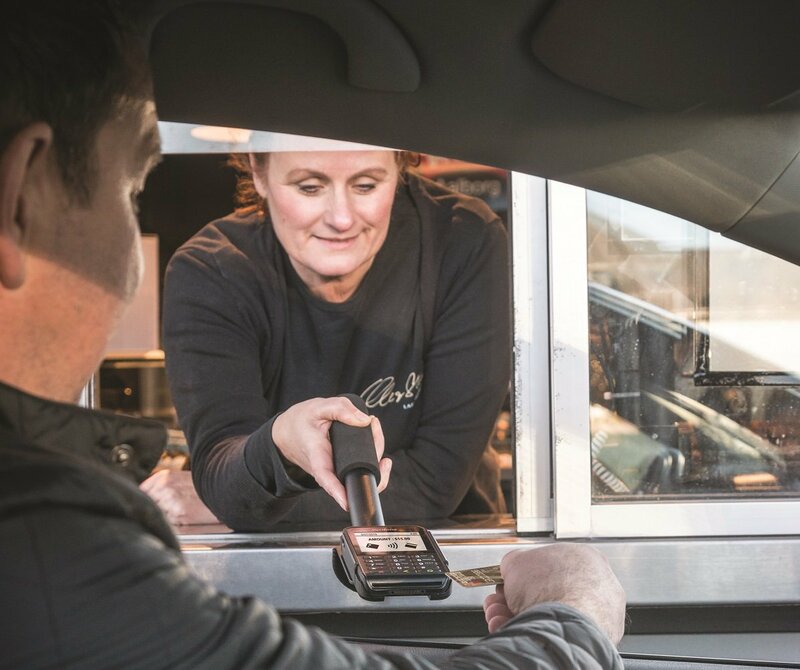 Our mobile tablet mount & tablet POS enclosures products can help you and your business embrace the latest trends in EPOS systems, tablet technology, mobile payments and more. Pair with our tablet docking station and tablet charging station products. 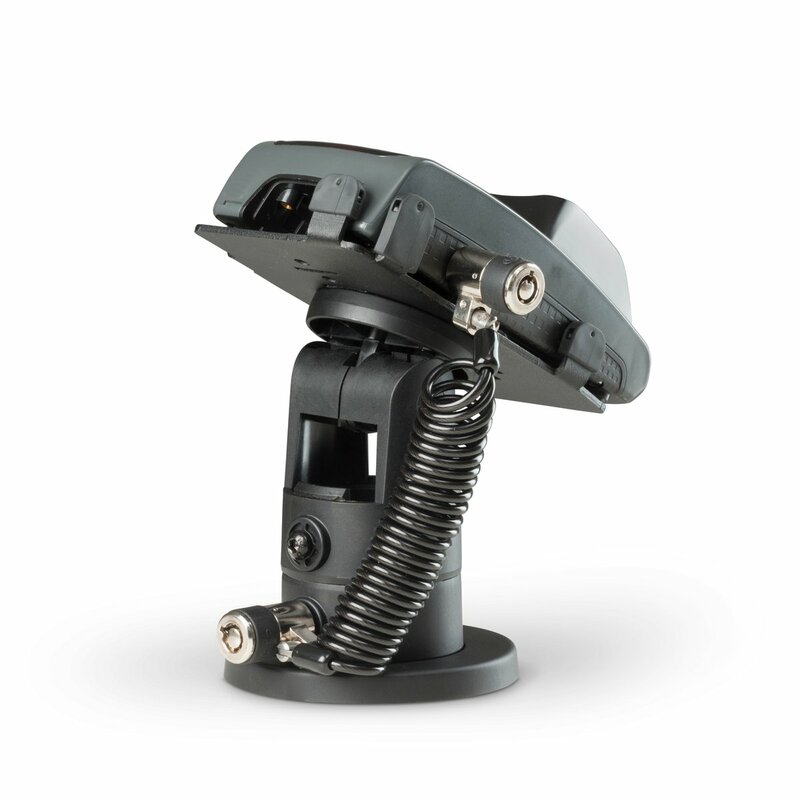 Secure protection and PCI compliance is guaranteed with our ClickSafe tethering lock technology. 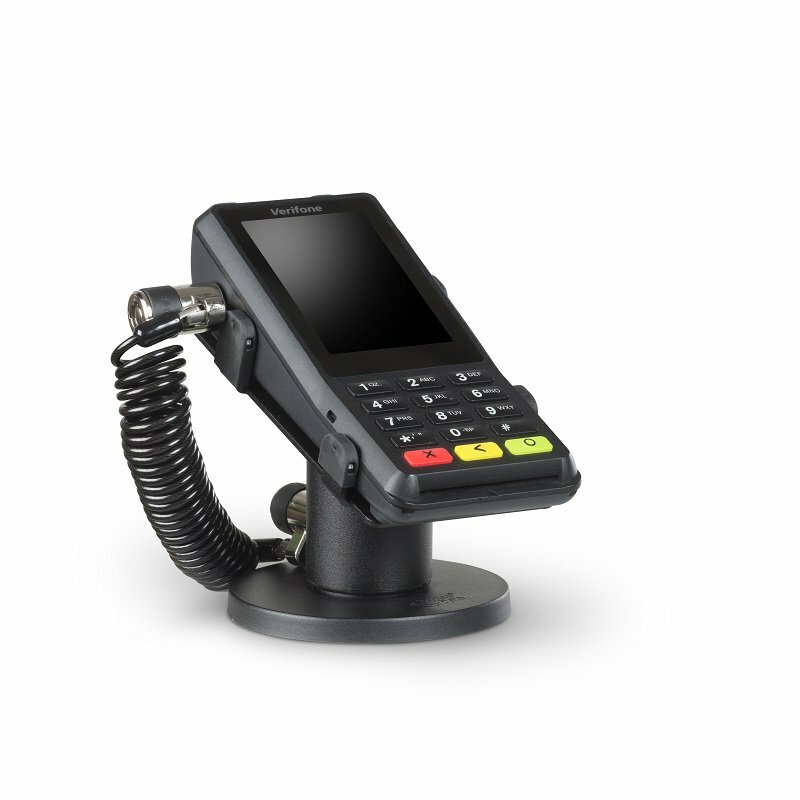 Keep your Point of Sale equipment safe with security tether cables for retail and other environments, for solutions such as a fixed desktop tablet mount to a mobile card reader case. View our latest posts for information on company news, the latest product launches, trade show events, and other industry topics. 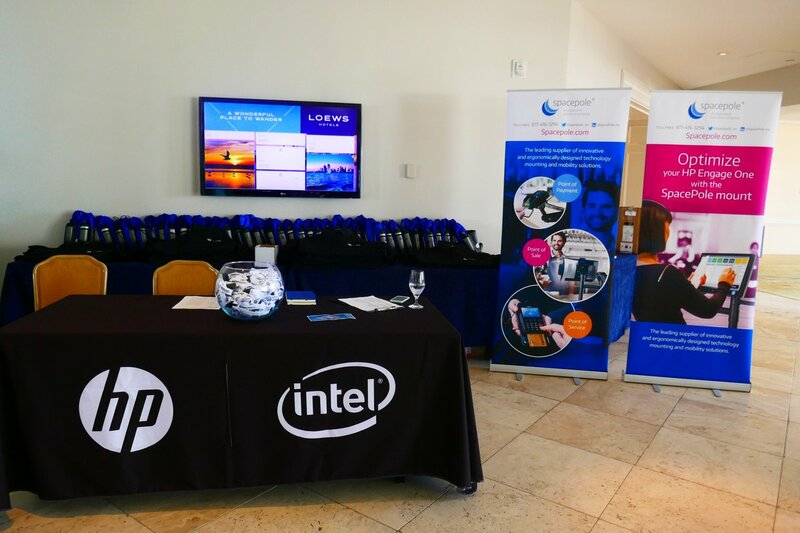 We are having a great time at the @HP Ignite Conference in sunny San Diego where we are engaging with partners about our #HPEngageOne mounting solutions and our Height Adjustable Vesa mount on the Rp9. 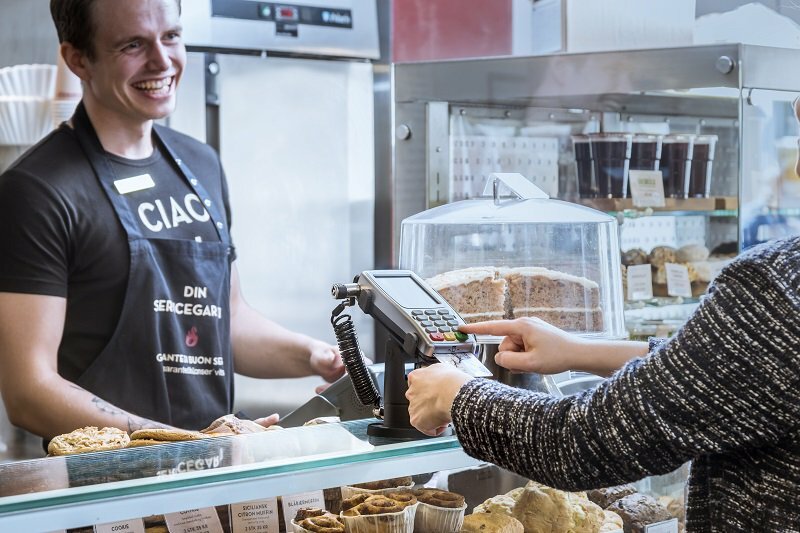 Payment transactions today are can be mobile, static and contactless. 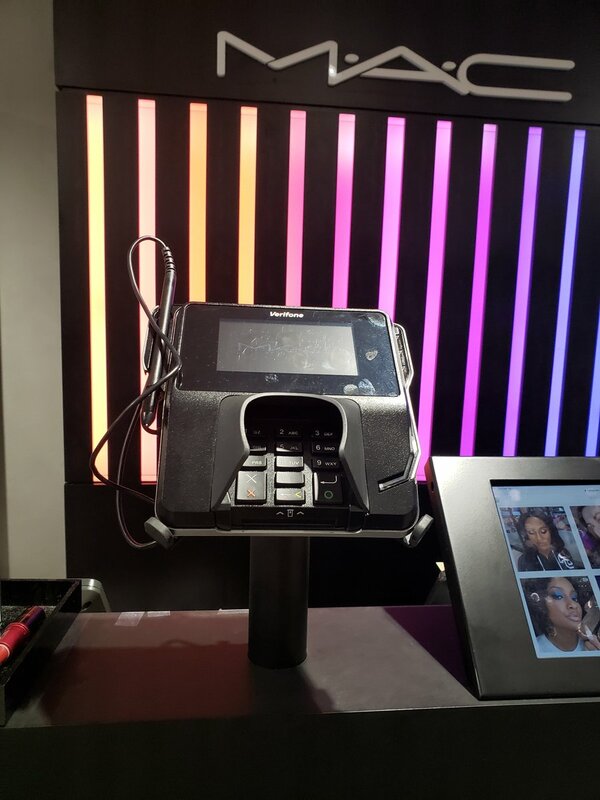 Fortunately, with over 2.5 million payment terminal mounting solutions in place, we understand the marketplace and the legislation that protects it. 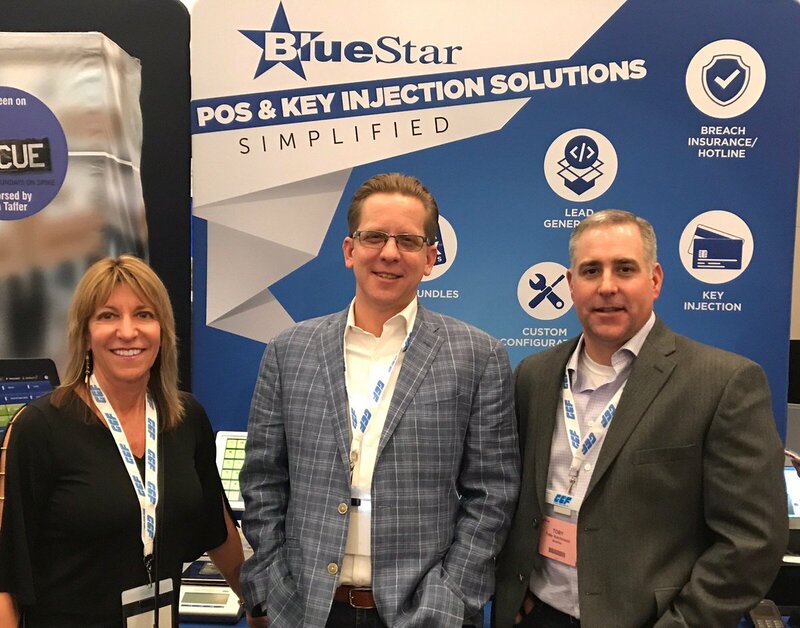 Wherever your organization does business, we have a payment solution that will provide security for you AND your customer. 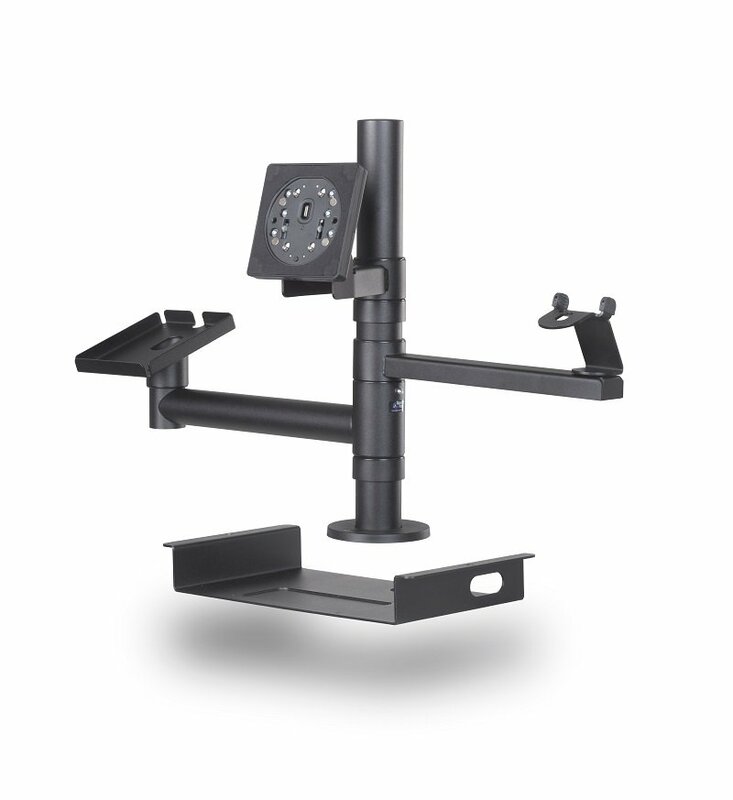 Join some of the biggest companies around the world and use SpacePole products for your technology mounting solution.